Do you represent a Connecticut State Government Agency and wondering how you should archive all your web and social media content? Are you trying to determine what you need to do both from a legal and a technical point of view? Here’s a guide to the different Laws and processes you should follow. What Laws govern Records Management in the State of Connecticut? 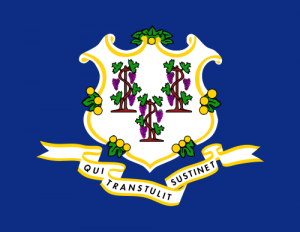 Connecticut Freedom of Information Act (FOIA) governs open records laws in the State of Connecticut. FOIA covers both access to public records and access to public meetings, and it expresses a strong legislative policy in favor of open conduct of government and free public access to government records and is essentially a “people’s law”. Do Connecticut State Records Laws include Website and Social Media content? Conn. Gen. Stat. §1-200(5) defines public records as “any recorded data or information relating to the conduct of the public’s business prepared, owned, used, received or retained by a public agency, or to which a public agency is entitled to receive a copy by law” – regardless of form or method of recording/ production, and so social media and web content is subject to these provisions and relevant retention schedules. If an agency uses Twitter, Facebook or other social media platforms for public relations purposes, these records should be retained in accordance with S1-520 Public Relations Records. Public records created by the applicable agencies are the property of the agency and should not be “removed, destroyed, mutilated, transferred or otherwise damaged or disposed of” except as provided by law or under the rules and regulations adopted by the State Library Board, or upon obtaining approval from the Public Records Administrator and the State Archivist. Records must be kept for a minimum retention period and can only be disposed of upon obtaining approval from the Public Records Administrator and the State Archivist. Websites must be retained in their original format: HTML, CSS, PDF etc. The existence of information in electronic format does not affect its openness. How can we transfer website archives made with PageFreezer to the Connecticut State Digital Archives? PageFreezer exports all data on request in the original file format including the required metadata. This data set can be transferred by FTP or by other means to the Connecticut State or Agency Digital Archives.